It was March, 2009 as I sat in my local movie theatre next to my first ever “real” date. She was from the next town over and we had spent the day together, a day in which I soon realized we didn’t have much in common. As we sat in the theatre she had my full attention, even though in the back of my mind I wanted to sit back and enjoy whatever movie we were about to see. The screen went black and I heard the familiar opening strums of the Bob Dylan’s classic “The Times They Are A Changin” soon followed by the extreme slow motion stills of what seemed like a comic book brought to life… Watchmen. It’s hard to put into words how I felt about what was being presented on screen and it was safe to say that my attention was fully off my date. I had never seen anything like it. 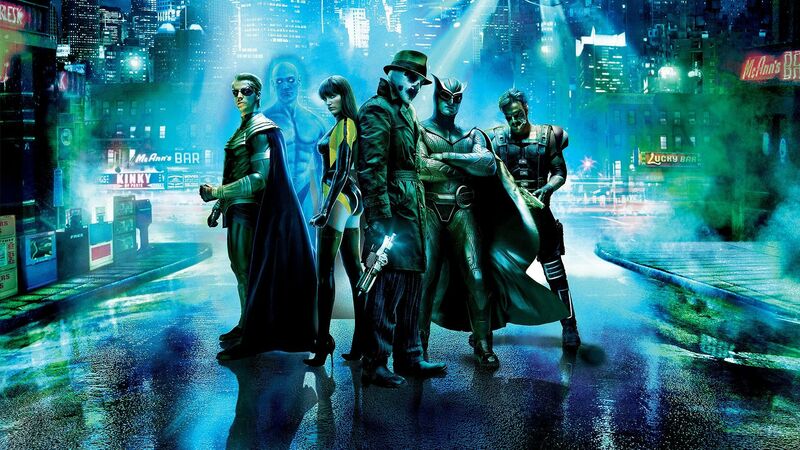 Dark, philosophical, violent and mature, Watchmen changed my whole perspective on superheroes and still remains my favorite superhero film of all time and one of the greatest graphic novel adaptions. The date on the other hand, went downhill. For what the film had in artistry and intensity, it lacked in commercial and financial successful. Watchmen was a huge risk for studios and when it bombed at the box-office in 2009, the prospect of mature, R-rated superhero stories seemed long gone… This was until 2016. After an almost 11 year battle with studios Ryan Reynolds’ passion project Deadpool finally came to fruition. A story of a former mercenary who, after a botched experiment adapts regeneration powers leaving him with a mind of insanity and a taste for revenge. Based on the abysmal success of my Watchmen date, I was lucky enough to see Deadpool on Valentine’s Day with an entirely new date, 7 years later… and it was safe to say that Deadpool had BOTH of our attentions. Now I didn’t love Deadpool, however its humor and heart was spot on. The faithfulness to the source material made it a refreshing pallet cleanser from the slew of PG-13 superhero films of the past few years. The opening credits served as a hilarious parallel to Watchmen’s opening credits as if satirizing the dawn of the new hero. I’d be lying if I said that I didn't want more of a “meta” narrative in Deadpool and less of an origin story. I really think they missed some great opportunities that none of the other superheroes can even touch in terms of humor and style. 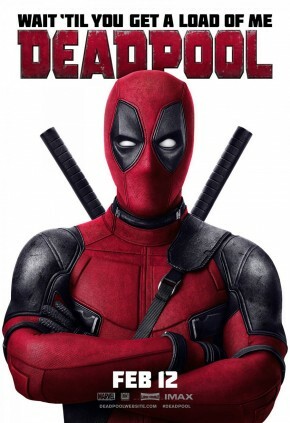 This combined with a weak villain (a movie is only as strong as its villain), made for a more generic experience than what Deadpool should be. Yes they called attention to their own faults with comedy; however that doesn’t mean they have an excuse for lazy storytelling. In the end, the touching relationship between Wade and Vanessa and the off kilter, boyish humor made me have high hopes for the sequel now that all the other stuff is out of the way and Fox is confident in its achievements. More importantly, its record breaking box-office success means that the reputation that Watchmen setup has now been knocked down. Hopefully leaving way for more adult superhero stories that can appeal to the aspects lacking in the modern superhero film. I have seen that the studios already have plans for an R-rated Wolverine film, a step in the wrong direction if you ask me. Slapping an R-rating on the film won’t give it the same edge Deadpool and Watchmen had; it was the love and passion that went into those projects that took it to the next level and connected with audiences. Hopefully they will come through and see the opportunity that has opened up. I have no doubt that Deadpool will become a cult superhero classic among fans.